Do I Have A Termite Infestation? 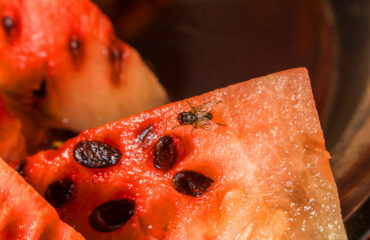 8 Signs That You Might | Any Pest Inc.
Termite infestations can cause major damage to buildings and furniture. 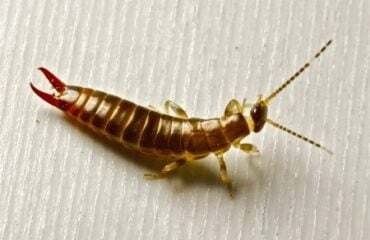 It has recently been reported by the National Pest Management Association that termites actually cause more than $5 billion worth in damages annually in the United States. That’s more money in damages than fire, earthquakes, and storms combined! 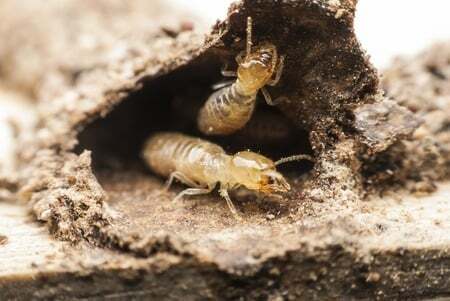 There are two main species of termites that affect U.S. homes: termites that live underground (subterranean termites) and those that live entirely in wood (drywood termites). Drywood termites can be found in the furniture, framing and hardwood flooring of homes, whereas subterranean termites build colonies in the soil. In Georgia, when the weather starts to get warm, termites start new colonies. These reproductive termites leave the nest at the same time looking for a mate. This is a called a “swarm” when a large amount of termites are searching for mates. The rain and warm temperature facilitated this process. The winged termites emerge from soil, cracks, or holes looking for a mate, new nest sites, and food sources. Does insurance cover termite infestation? Insurance policies refer to termites as “wood damaging insects”. But unfortunately, most homeowner insurance policies do not cover termite infestation damage because a termite infestation can be preventable. In addition, most insurance policies do not cover damages that are considered to be maintenance issues. Also, most termite infestations are well-established before outward signs become visible. It’s best to become familiar with termite infestation signs, so you will be able to identify a termite infestation and get prompt treatment. That means, if your neighbor’s neighbor has termites, you could, too. According to the U.S. Department of Housing and Urban Development, Georgia is in Zone #1, very heavy zone. The TIP very heavy zone also includes the states of Alabama, Florida, Mississippi, South Carolina, and Puerto Rico. Since termites are soft-bodied insects, they tend to stay hidden, which is why it is usually difficult to know if you have termites. Termites will dry out and die if they are exposed to sunshine and fresh air. Even though the termites are often out-of-sight, they can leave signs to show that they have been busy. Damaged wood can indicate a sign of termites or carpenter ants. 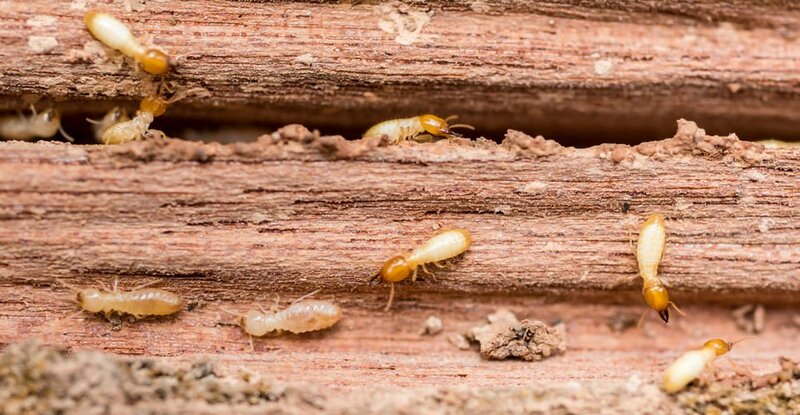 If you notice your wood is cracked, caving, sagging, or hollow, your home may have a termite infestation problem, and termites may be silently feasting on your home’s structure. Many people see flying insects swarming out of cracks in the floor or holes in the wall. People are often fooled because they may look like ants, but they are often flying termites. There are two or three things to look at in order to figure out whether they are ants or termites. It helps to have a magnifying glass for the identification process. Termites pose a serious threat to your biggest investment: your home. Here at Any Pest, Inc. we offer Sentricon Termite Baiting systems and Liquid Baiting treatments to detect and eliminate termites. We install termite baiting systems in the soil around your home or office and monitor it annually for termites. How does the Sentricon® System work? Our termite baiting systems are installed in the soil around your home or business and will be monitored annually for termites. 1. Termites tunnel under the ground, actively foraging for food. When they come in contact with a bait station, they feed on the bait inside and share it with their colony. 2. The active bait used in the Sentricon stations, noviflumuron, prevents termites from molting. 3. Unable to molt and mature, the termites die. When the colony dies, so does the queen, which results in a complete colony elimination. How do I Deal with a Termite Infestation? Termites pose a serious threat to your biggest investment: your home. Termites could be silently feasting on your home’s structure. 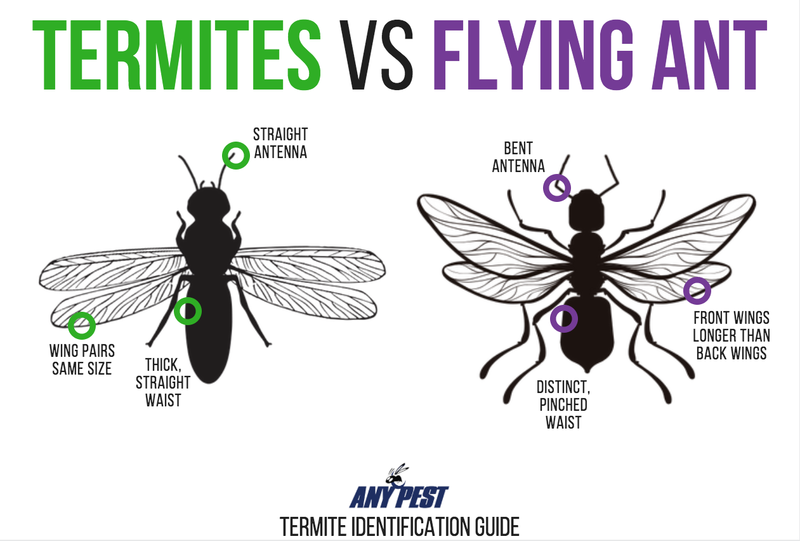 If you suspect that you have termites or if you have an inside swarm, it is best to let a professional pest control service handle the termite treatment. 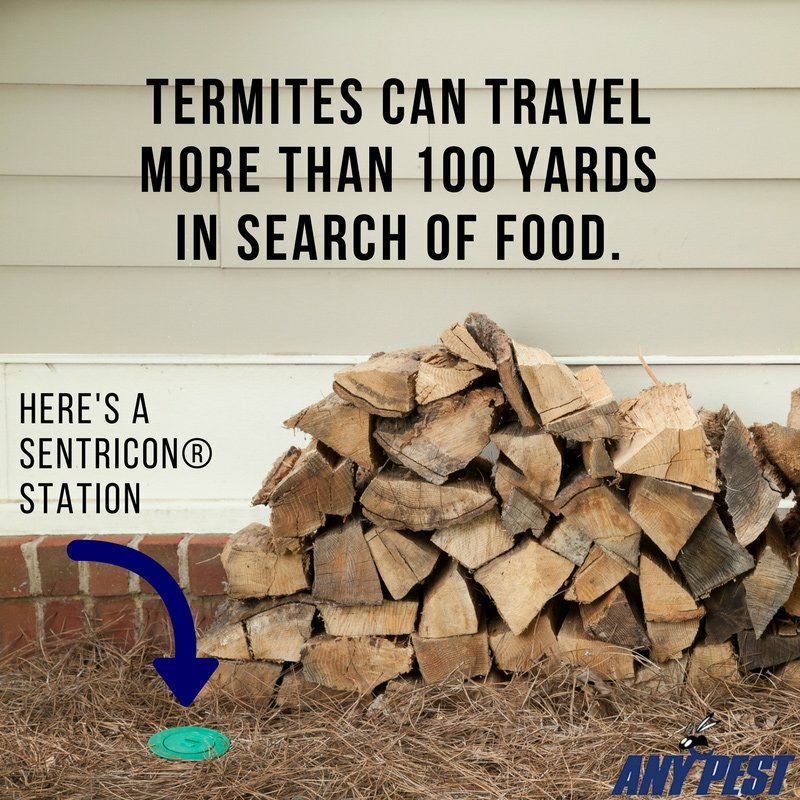 Here at Any Pest, Inc., we offer both Sentricon® Termite Baiting systems and Liquid Barrier treatments to detect and eliminate termites in and around your home or business. If you ever notice any of the above termite warning signs and believe you may have termites in your home, don’t wait until it’s too late. 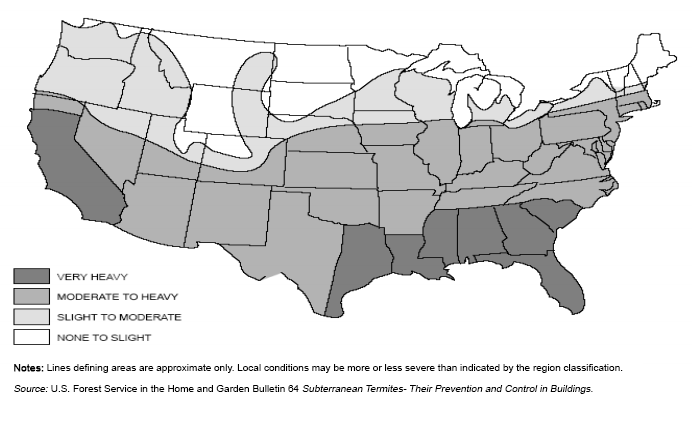 Contact us today for more information about our Termite Control Protection Plans, as well as our free evaluations. Get a free termite inspection today! 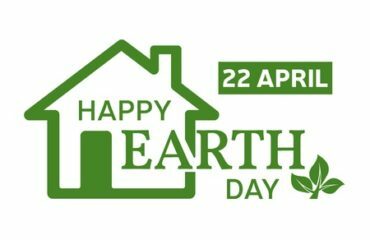 Sentricon® – Protecting Millions of Homes, and the Big One We All Share!